The Philippines, authentically the “Republic of Philippines” is an island country that consists of over 7,000 islands, located in Southeast Asia. The country has gorgeous features featuring from historical cities, colonial-era buildings, to luxury beaches, lagoons, and tropical climate. In addition, the country is regarded as one of the best tourist destinations in Southeast Asia. Archeological evidence found in recent times concludes the fact that the regions of Philippines were once home to one of the oldest human beings. Prior to the arrival of the colonists, Philippines was reigned by different kingdoms and dynasties and had active trade with different countries or empires of the world. The islands were first discovered by the Portuguese explorer but were claimed and colonized by the Spanish. 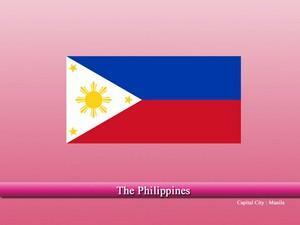 The Spanish ruled the Philippines for more than 300 years and totally changed or modernized the country. Although it was done for their own business, eventually it made the Philippines and its major cities, e.g. Manila, etc. a new and European look. The colonists built several European styled buildings, churches, etc. By the end of the 20th century, the islands were sold by the Spanish to the United States. The US ruled the islands until they were occupied by the Japanese as World War 2 broke out. Many massacres were done by the Japanese forces and most notably the “Manila Massacre”. Although the Japanese were pushed out by the end of the war, the people of the Philippines paid a crucial price as much of the infrastructure was destroyed with the loss of thousands of people. The country finally achieved independently soon after World War 2 and is at peace since. 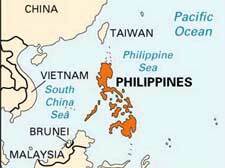 Filipino islands are covered with dense forest and various mountains, with active volcanoes on many of them. The country due to its location and geological activities is constantly hit by tsunamis and earthquakes. Moreover, there are various lagoons and rainforests that can provide tourists with numerous recreational features. The biodiversity of the country is also rich, sheltering thousands of animal and plant species. The economy of the Philippines is one of the best-performing economies South Asia and has a great scope for more success in the future due to its locations and as a regional trade hub. Its economy is ranked as 34th largest in the world with services being the largest sector followed by industries and agriculture. The country also leads in technological advancements and export electronic products like semiconductors, electronic products, etc. Agriculture although has less share in the total GDP, it still plays a significant role in the state’s economy e.g. employing a large workforce, etc. The weather and other conditions also favor the production of agricultural products. Some of the country’s main agricultural products include rice, pineapples, coconut, etc. Rice is one of the essential agricultural outputs of the country and the Philippines is the 8th largest rice producer in the world. Other main sectors include tourism, shipbuilding, aerospace, and auto manufacturing. Some of the world’s most renowned automobile and technology giants have their assembly or manufacturing plants established in the Philippines. Filipino and English are the official languages of the country, although there are over 186 languages being spoken in the country. The constitution of the Philippines gives religious freedom to all of the religions, while Christianity is the largest faith today in the country. Islam is the second largest religion in the country. Christianity arrived in the region during the colonial times and the Spanish wanted to preach as much Christianity as they could in the region to avenge the Muslim conquest of Spain. Several Churches or Cathedrals of Spanish era can still be seen today. How to count number of doors as per vastu? Vastu remedies for staircase in brahmasthan?